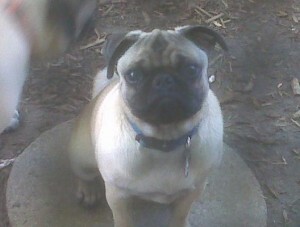 Brewser is a 1.5 year old male, fawn pug he will be neutered, have some dental work done and placed into foster care. He is an owner surrender from a moving situation. He is the biological brother of Buster not a bonded pair.